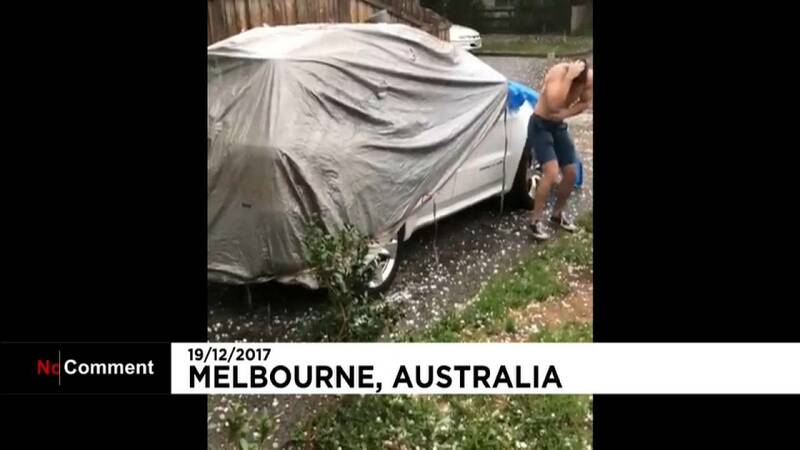 Melbourne residents hurried to protect a car from large hailstones that struck during a severe storm on Tuesday, December 19. In the footage, a shirtless man appears to be in pain as he tries to pull the cover over a car, while another person wears a bucket over their head for protection. Earlier in the afternoon, Australia's Bureau of Meteorology warned a very dangerous thunderstorm was due to sweep through the city. According to news.com.au, hailstones the size of golf balls fell as thousands lost power due to the storm.